At Kitchens by Emanuel, we pride ourselves on quality service, grand designs, innovative concepts and production that will last a lifetime. We cater our skills to suit you. We focus on your needs, your family and your lifestyle in order to provide you with a custom designed kitchen, using only the best products & materials available in the industry. As we manufacture our own cabinetry & have a team of skilled in-house designers and tradesmen, we are able to maintain our high standard throughout all of our projects, ensuring that each kitchen is crafted with attention to detail and perfection. Our Showroom & Factory are located in Castle Hill, featuring state of the art machinery & a wide selection of materials. Experienced Cabinet maker - We use quality materials and coupled with our experience you are assured of quality kitchens and cabinets. we are flexible and have an excellent reputation. At Kitchen Chamber, we pride ourselves on providing custom and quality cabinets and kitchens from design to build. Jayen Innovations was established in 2008 and specialise in design, collaboration, manufacture and installation of best-in-class quality custom joinery including whole-house fitouts. Jayen create amazing interiors and we really care about the detail - that's our difference! We'd love to be involved in working with you and your builder and interior designer to help turn your dream home into a super-functional and amazing looking interior. Jayen has crafted many quality projects over the last decade including kitchens, vanities, wardrobes, laundries, beds, tables and even wall and ceiling feature paneling. House by Hart is a full service joinery company that also coordinates other trades to give you a seamless renovation. We specialise in custom joinery that turns your house into your home. 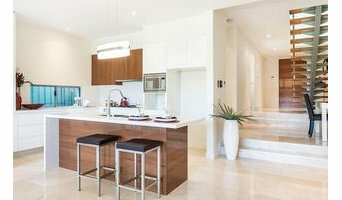 Papallo Kitchens is the North Shore's specialists in kitchens, bathrooms and joinery. Owned by two brothers, all our projects are handled with a higher level of care and attention to detail. Over the years, we have worked for some of the leading kitchen manufacturers in NSW and we have gained a broad range of experience in all aspects of joinery and design to bring your vision to reality. We start with a measure and quote and discuss basic design concepts and layouts based on your project area to achieve optimal functionality and an aesthetically pleasing design. We only like to use the best quality materials and hardware in our kitchens and are scrupulous in build quality and installation. 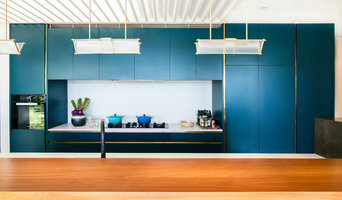 Spaceworks Design is a Melbourne & Sydney based family business, specialising in bespoke cabinetry for residential and small commercial interiors. With more than 50 years combined know-how, we are your one-stop-shop – from design all the way through to installation. We can help you to transform your home or workspace with bespoke cabinetry. To ensure your absolute satisfaction with the finished product, we take the time to understand your needs and involve you in the design process from start to finish. Whether your style is contemporary or the more traditional period homes, we pride ourselves on creating beautiful, yet functional designs, to suit your lifestyle, decor and budget. In The Closets is a boutique custom storage and organisation company that strives to give homeowners the most out of their space by creating dream storage solutions. Lead designer, Anton Randall, built his highly successful business based on his passion for style and organisation. He knew he had a gift and passion for helping everyday people find a better way to live their best and most organised lives. Whether it's reorganising and styling your existing cluttered closet, kitchen pantry, laundry cabinet or designing and building something custom, In The Closet, can give you sophisticated, luxurious and glorious storage solutions to suit any home. Anton will work with you from concept to completion to ensure your storage space is everything you ever dreamed of. Custom Built Closets include walk-in wardrobes, built in wardrobes, closets, linen closets, food pantries and any custom home storage solutions. Anton will design your space around your needs, and even organise your new space to show you how to get the most out of it so that you do not need to lift a finger! Reorganising and styling services include wardrobe spaces, closet spaces, linen closets, home offices, garage spaces, kids spaces and kitchen pantries. If your storage space is just a mess and you desperately need help, Anton will work with you to tailor a solution for your existing space that reflects your lifestyle & individual style. JK Custom Joiners is a company who specialises in designing and building beautifully detailed custom joinery and furniture for your home. Kevin and Jeremy combine their passion for innovative design, with their craftsmanship and knowledge of the latest products whilst incorporating sustainability and intelligent design. With years of experience working with designers and architects, we have a broad capability in providing the highest standard of work and attention to detail, ranging across contemporary, modern and traditional styles. Whether it’s a sleek, contemporary or a traditional, JK Custom Joiners can create all your custom-made joinery to blend harmoniously with your renovation plans. We design and manufacture the highest quality, custom-made cabinets and joinery to match your style. Client relationships and customer service are of paramount importance to the company and reaching the highest customer satisfaction is the cornerstone of our success. We listen to your needs, offer professional advice and take pride in designing and crafting your projects to the highest standards, ensuring your complete satisfaction. Established in 2003, Salt Interiors is entering into a decade of custom quality joinery and passionate craftsmanship. Australian owned and operated, our joinery is made to order and made to last by some of the most talented craftsmen in the industry. Working across the residential, commercial, retail and hospitality markets we specialise in detailed designs, premium materials and flawless finishes. Salt Interiors produces fully customised residential kitchens, bathrooms, bedrooms, entries, dining rooms, living rooms, media rooms, studies, wardrobes, and more. As well as commercial, retail and hospitality fit-outs. Omega Furniture Sydney provides customers with a diverse range of benefits to find the correct solution for their next project. 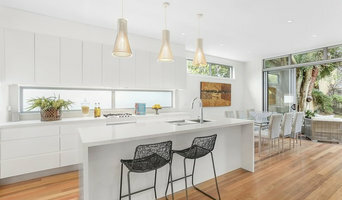 Whether it’s a custom kitchen renovation, bathroom, wardrobe, or entire home fit-out and renovation, our team at Omega can without a doubt satisfy your requirements. A Class Fitouts have been at the cutting edge of joinery for over 12 years in the Sydney area. With over 50 years of combined experience in the industry, Paul Sciglitano & Damien Carr are both cabinetmakers who are dedicated to providing the finest quality finished product for their clients, with the professionalism you would expect. Our designers will work with you to custom design your joinery to suit your individual style & space using the latest 3D CAD design software. Our experienced cabinetmakers will combine the use traditional joinery techniques with the latest CNC manufacturing technology to construct your bespoke joinery. Your project manager will work with you from the initial concept & budgeting stage, through the design process, manufacturing & installation. We use only the highest quality hardware from Blum and our carcass & door material sourced is environmentally friendly. We service commercial, domestic, and retail markets. Contact us to discuss your needs. You'll be glad you did. We are a new company, combining a passion for customized innovative designs professional skills and knowledge and the highest quality products. We pride our selves on being a small company, we only have a few jobs on the go at any one time allowing us to treat our clients and collaborators with a very professional yet personal approach, Our high standard of quality is in every detail of every project. At Lakeside Joinery we are dedicated and committed to delivering to deadines & budgets. Here at Artisan K Interiors we turn your dream into reality. We provide practical, modern kitchens and storage solutions for your everyday needs. Our pioneering, custom built designs will add beauty and value to your home and office. Artisan K Interiors boasts many years’ experience in the Kitchen, Carpentry and Joinery Industry. Here at Artisan K Interiors we pride ourselves on creating unique designs, using quality materials, and most of all providing excellent service and affordable prices. Our customer satisfaction is important to us, and our kitchens are planned, designed and built to your specific requirements, ensuring maximum functionality and value. We consult with you and go through every minute detail to make sure you get exactly what you want! 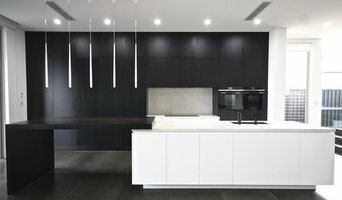 For over 14 years Designer space has been designing and building unique kitchens and joinery. This boutique kitchen designing company carries out all types of kitchen and joinery. 5th Generation Joiner with 25+ years experience. Custom Kitchens, Bathroom Renovations, Architectural Joinery, Bespoke cabinetry. Complete Project management. CAD design. Modern Factory and Showroom. Joinery and cabinet makers are mostly known for their work in kitchens and bathrooms, but their skill set goes much further than that. It is important to understand the difference between carpenters and cabinet makers, which lies in the detail of work. Carpenters tend to work on larger structural projects and this is why many become builders, whereas cabinet makers are masters when it comes to the finer detail. So if you’re looking for detailed woodwork like custom-made furniture for your living room or smart storage solutions, you’ll be sure to find a Croydon, New South Wales cabinetry expert in the Houzz directory of professionals. What Do Croydon, New South Wales Joinery and Cabinet Makers Do? Cabinetry professionals design, construct, refinish and repair all types of cabinetry, from kitchen cabinets and bathroom vanity units to built-in wardrobes and entertainment units. They can also create custom-made storage solutions for home offices, playrooms, bedrooms, media rooms and other spaces. By assessing your needs and using their knowledge of design trends, different cabinet styles and the latest in functionality options, cabinet makers and woodworkers can provide what off-the-shelf furniture and storage systems can’t – bespoke designs tailored to your lifestyle, decor and budget. They are professional craftsmen (or women) who can also breathe life back into worn or dated cabinets, including prized antique furniture, and repair those that are damaged. They also replace wardrobe doors, fit drawers and shelves, and add decorative mouldings and other details. Ask about which timber, assembly materials, finishes and hardware will be used and why to ensure you get the best quality. This will also show you how well the cabinet maker knows their craft. Also, get clear on what they need from you, and if they’d see any complications for your project. Ask for a quote in writing, and be sure to understand every aspect of it. Inclusions, exclusions, procedure when things don’t turn out the way you imagined, and how long the job will take. Can they offer a warranty? Check their previous projects and reviews on Houzz. Does their style match what you’re after? Are their reviews positive? If yes, go ahead and check if you can see any of their work in a showroom. If you know what you want and are ready to take the next step, scroll through this page to find joinery and cabinet makers in Croydon, New South Wales. As mentioned, you can browse their latest projects, read reviews and see how other homeowners rate their work, and message them directly. You can also look through Photos to find examples of joinery you like, then contact the professional who worked on them.